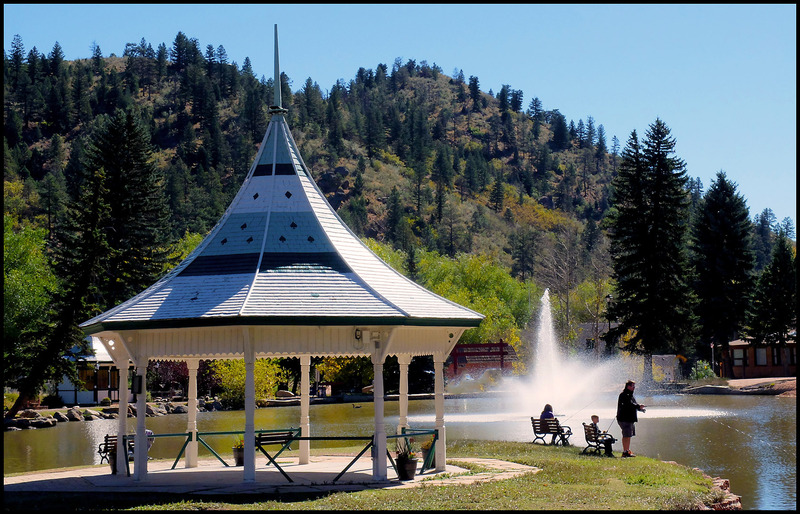 Cascade, Chipita Park, and Green Mountain Falls are your gateway communities—wrapped in tight around the base of the majestic Pikes Peak—just a few short miles up State Hwy 24 from the bustle of Colorado Springs and on the way to the Western Slope of the Colorado Rockies. Next up the pass is the mostly residential community of Chipita Park. A few local businesses call Chipita Park home, but it is brimming with Bed and Breakfast options. It also offers camping and family fishing fun. Chipita Park also hosts our award-winning Ute Pass Elementary School. 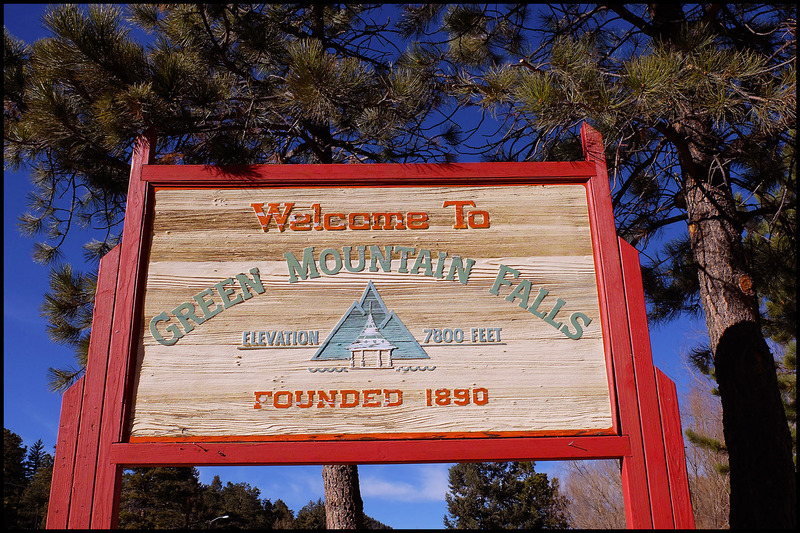 Just a mile or so further up the pass is the Town of Green Mountain Falls. As Ute Pass’ only incorporated township, Green Mountain Falls hosts numerous restaurants, service businesses, a tavern, specialty shops, and churches. It too offers its compliment of Bed and Breakfast accommodations plus the finest hotels and lodge-style rooms available in the region. Family fun abounds in Green Mountain Falls. Summertime presents lifeguard supervised Swimming, open Tennis, and Pickup Basketball at the Green Mountain Falls Public Pool and Park. 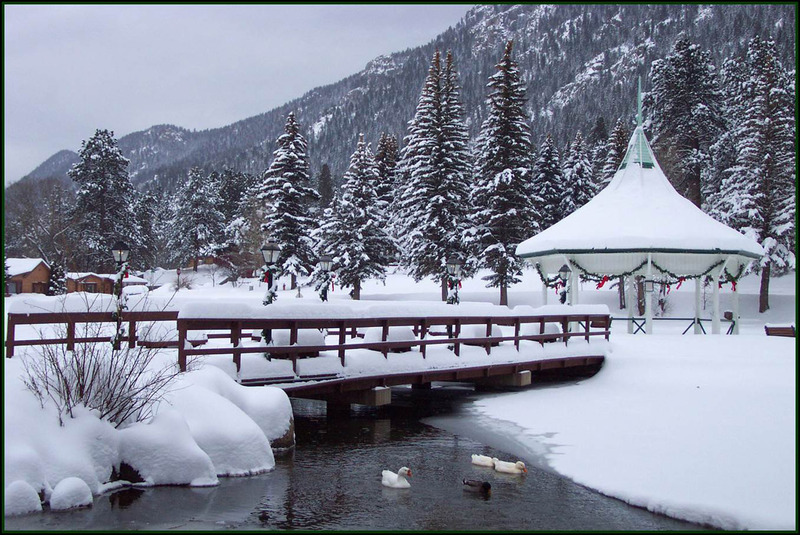 The iconic feature of Green Mountain Falls is Gazebo Lake. State stocked fishing, wildlife, and a wrap-around park and play area host special events like the Summer Greenbox Art Festival, picnics, weddings, and annual celebrations like Bronc Day and the Thin-Air Classic Car Show. Green Mountain Falls also offers the region’s most diverse trails system. Hiking, biking, riding, and fishing round out the range of Ute Pass fun in the region.